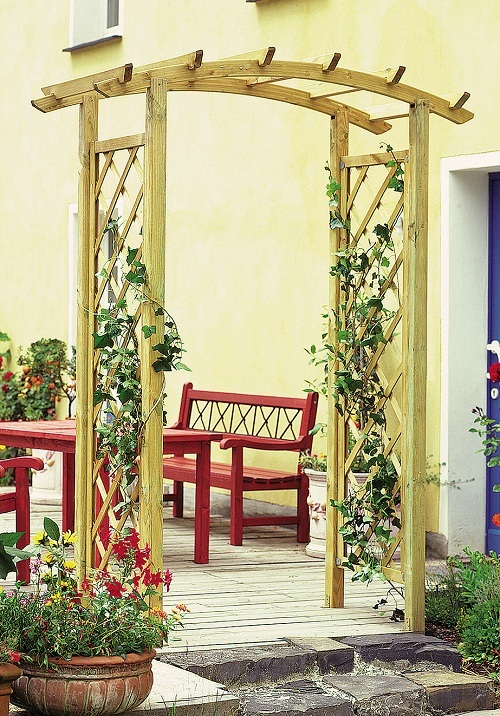 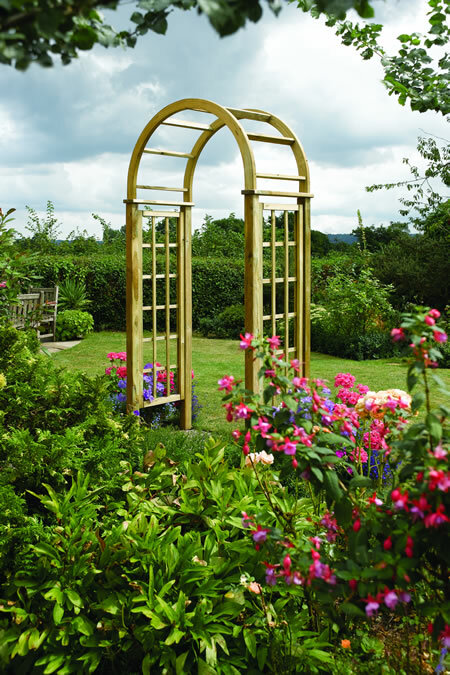 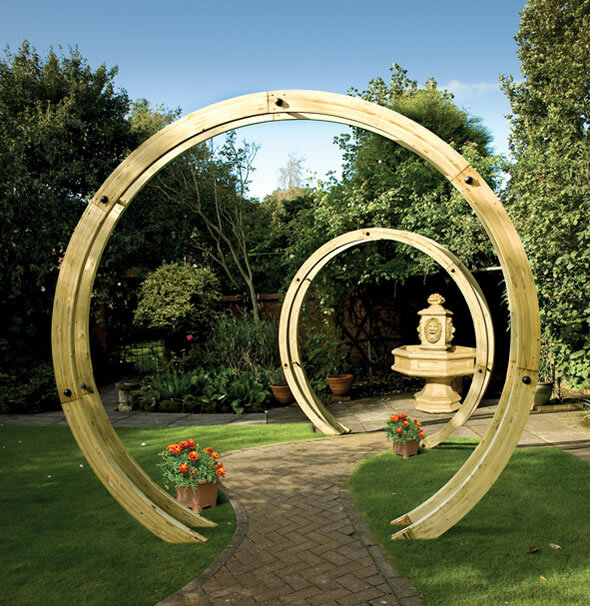 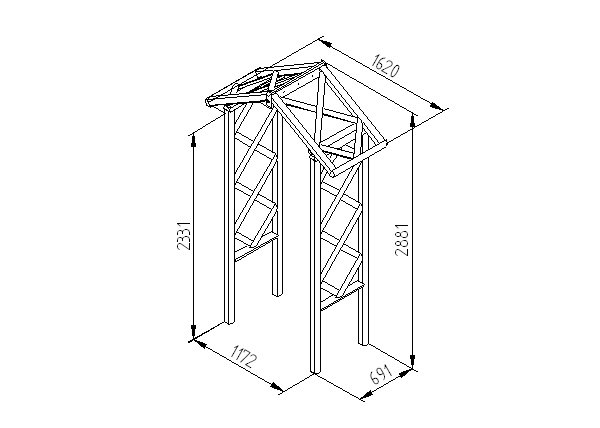 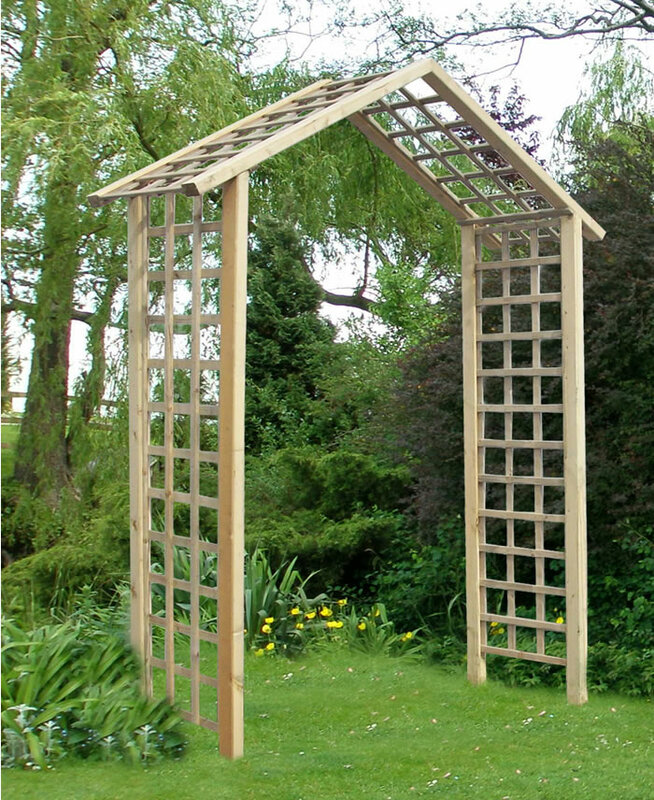 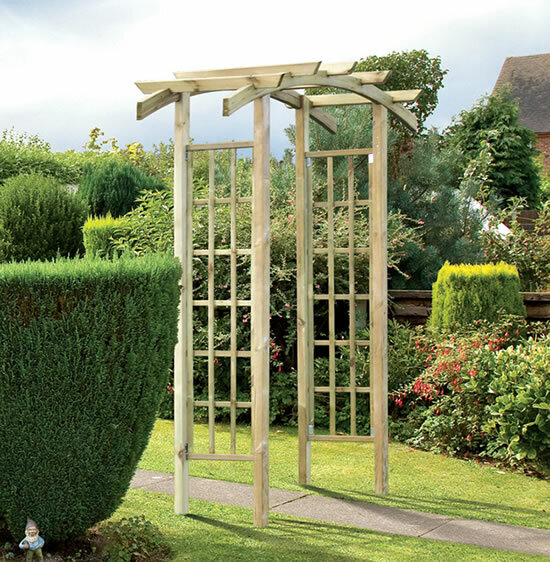 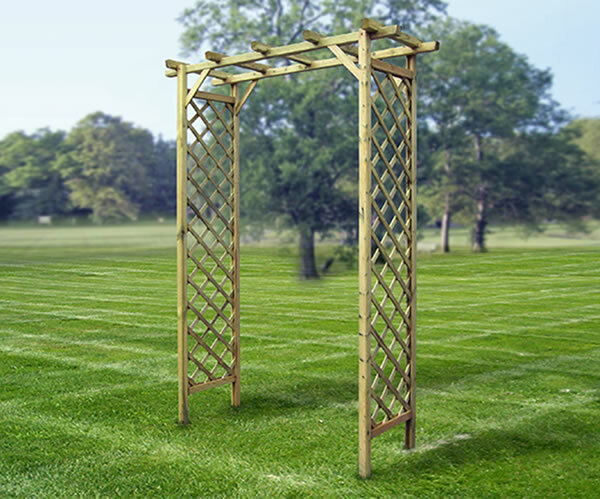 Our Daria garden arch, is a great adjustable arch that is perfect for any garden size for dividing or joining two parts together or adding extra height to needed areas. 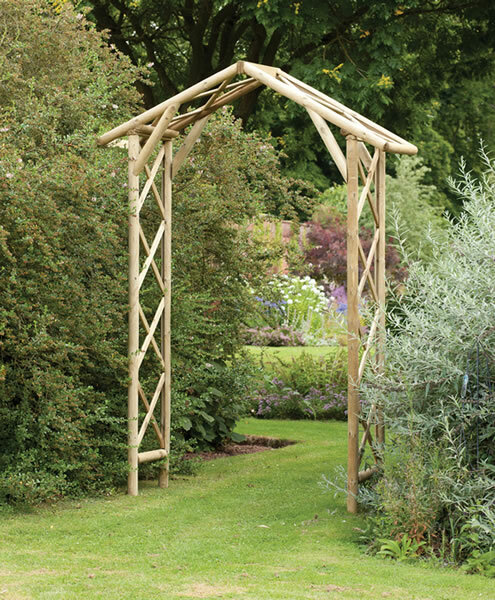 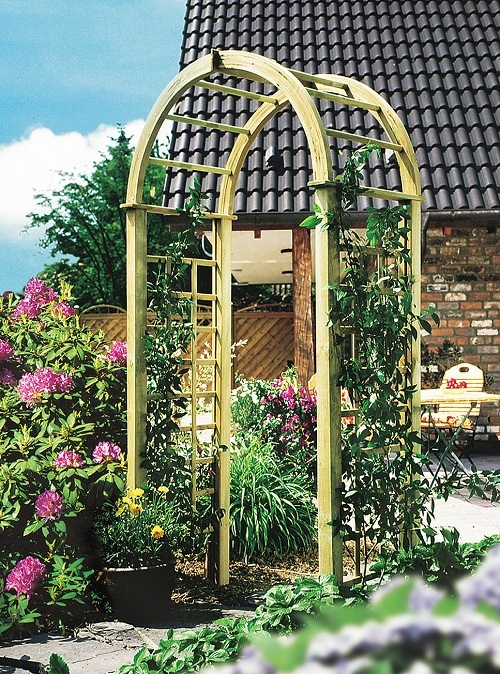 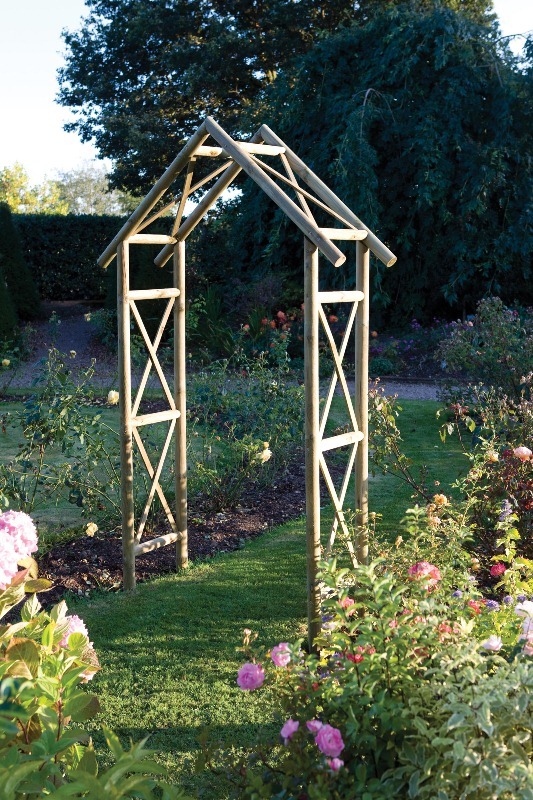 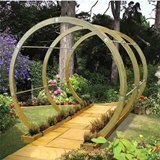 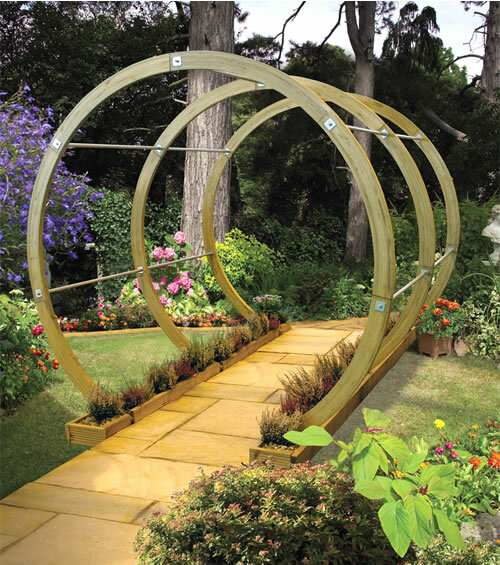 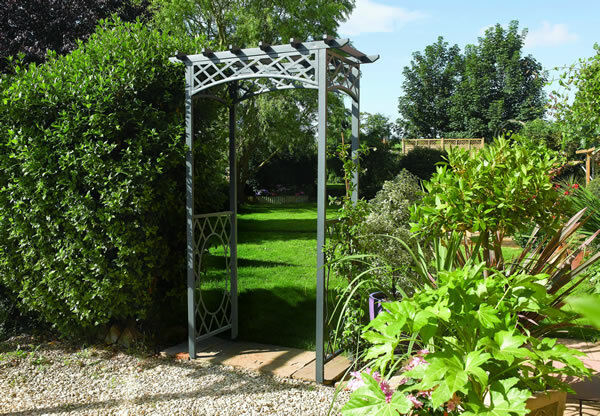 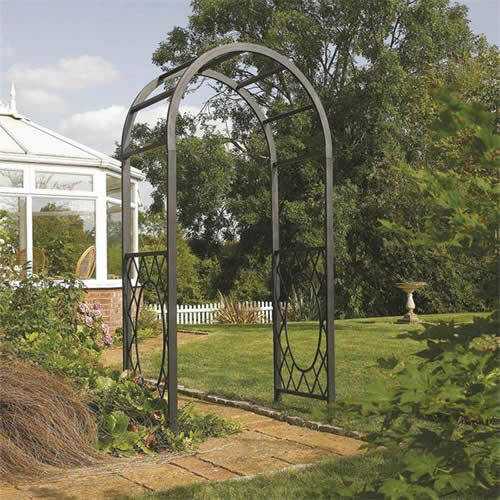 Our Horizon garden arch, is a great adjustable arch that is perfect for any garden size for dividing or joining two parts together or adding extra height to needed areas. 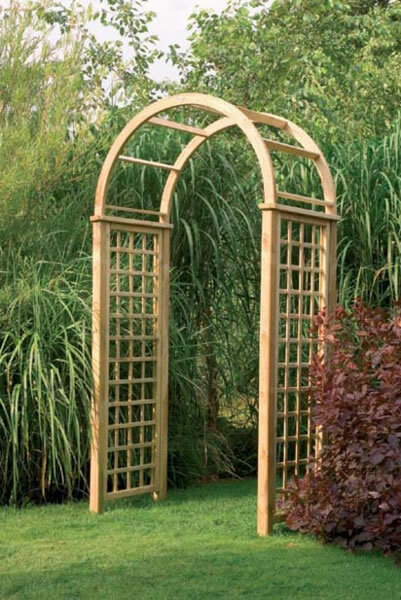 Our Katja Rose Arch is a beautiful, traditional arch way, great for dividing beds or brightening up path ways, great for any size garden. 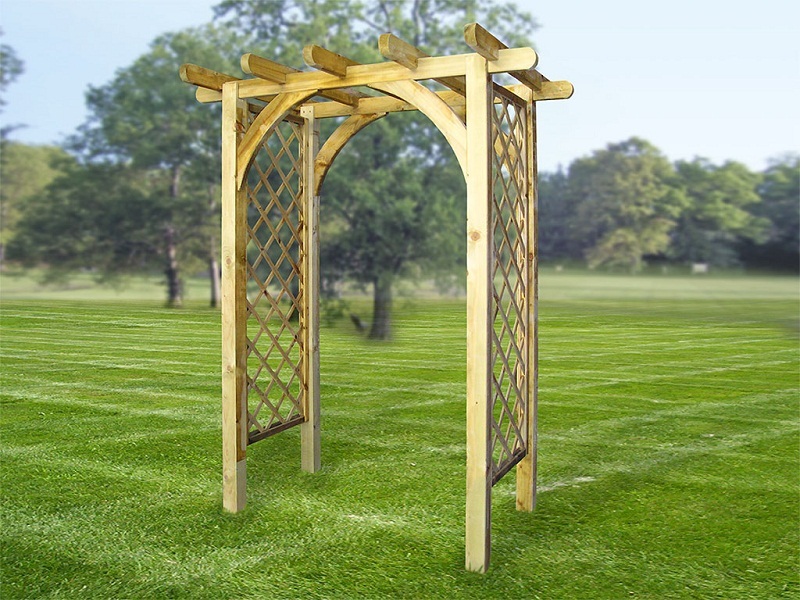 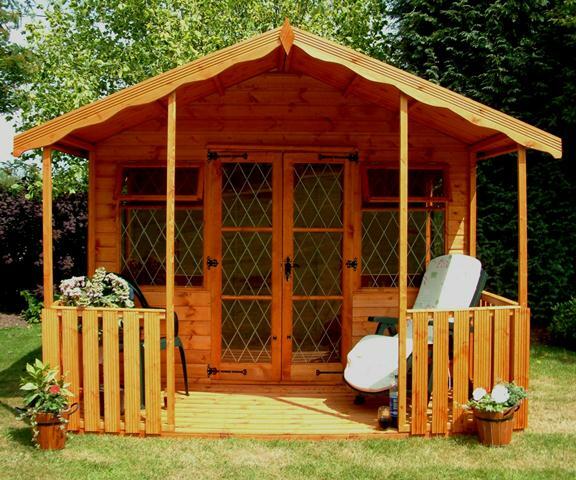 The Ellington Arch from Grange, with curved, notched rafter top and trellis style sides. 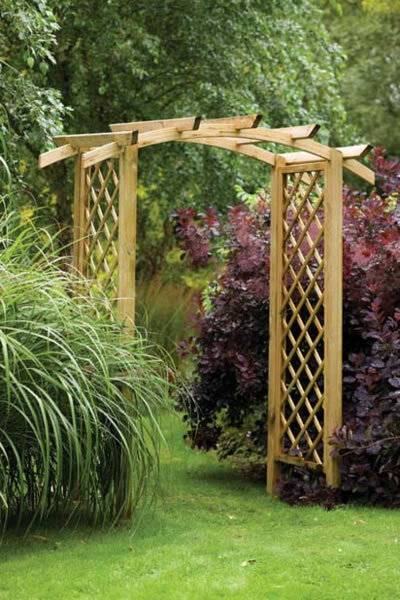 Perfect for paths up to 1.6m wide. 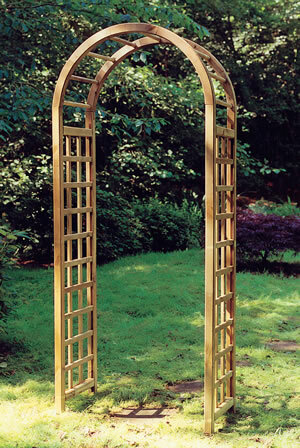 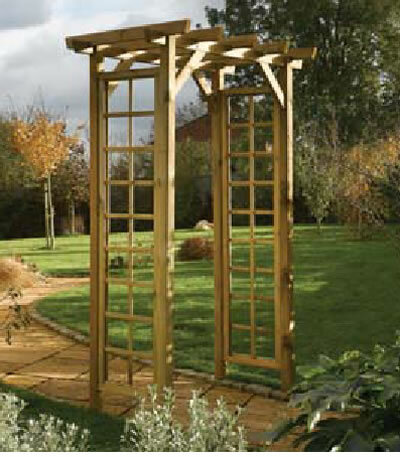 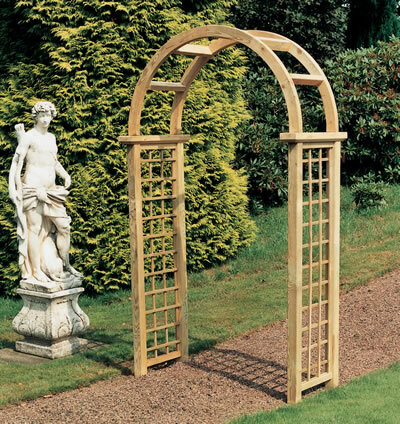 Pressure treated garden arch from the Grange Elite range.